Kapil was also in news for his abusive twitter rant on media persons after Salman Khan's verdict in blackbuck poaching case recently. Ace comedian Kapil Sharma is turning heads but for all the wrong reasons. The comedian recently made a comeback on TV with his new show titled Family Time With Kapil Sharma, after a hiatus of almost one year. Kapil's fans had much expectations from him and his new show and as per the latest reports he failed to meet the expectations of his fans. His new show Family Time With Kapil Sharma unlike his previous show turned out to be a game show, which failed to tickle the funny bones of his fans. Kapil was also in news for his abusive twitter rant on media persons after Salman Khan's verdict in blackbuck poaching case recently, which he later deleted and said his account was hacked. 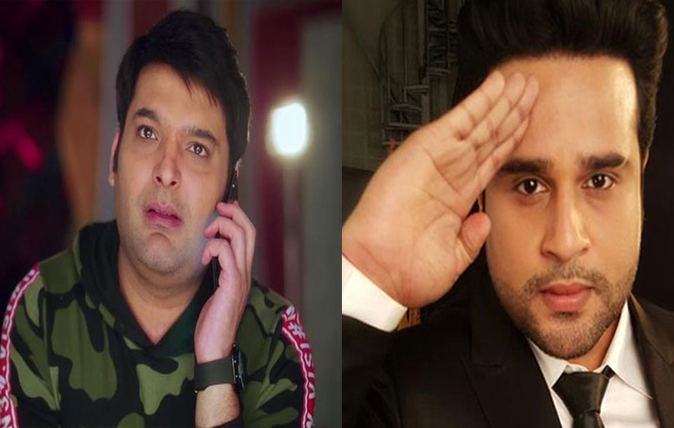 And after Shilpa, comedian Krushna Abhishek also extended his support to Kapil. Krushna in an interview with Mumbai Mirror said he feels bad for Kapil. He also blamed Kapil's film Firangi for his current situation and admitted that Kapil consumes alcohol. Batting for Kapil, Krushna also said that it is wrong to write negatively about a person who is battling depression.